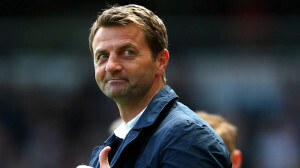 This column has been highly critical of Villa boss, Tim Sherwood, in the not-too-distant past, seeing something of the snake oil salesman in him. Universally derided though they are, snake oil salesmen and their contemporary equivalents are not without their skills and the ire they invoke might be more down to the fact that they get one over on you rather than any reservations one might have regarding their questionable morals, such as they are. If Sherwood is engaged in trickery of the confidence, then it’s something he clearly believes in himself and his players are happy to buy into the product. Quite how he deals with the more regular situation of managing a team from the beginning of the season through to the end (something he hasn’t done yet) no-one can claim to know for sure. He arrived when the collective confidence of the players was shot and has affected a huge turnaround in form and fortune but, though no fault of his own, it has necessarily been a period of heightened pressure and excitement, something the man seems to thrive on. A full season won’t sustain that high and one wonders how he will deal with troughs when they invariably come. With any luck he won’t take a leaf from Mourinho’s book and create a mythos of unseen evil-doers and monstrous machinations with whom he must battle and rage against.. One is more than enough, thank you very much. It’s safe to say that most would raise a glass to the achievements of Ronald Koeman and Southampton this season. It didn’t seem likely after Liverpool and others did their best to asset strip the team over the summer but the wonderful Dutchman has kept them in the top eight since the first month of the league. For all of the accolades gained, they have tapered off somewhat in the run-in having secured a single win to accompany three losses and a draw in their last five games. The tired old cliché regarding players and their flip-flops doesn’t seem like it suits this team or manager but they do look tired. Villa, by contrast, have taken twelve points from the last available fifteen and are consequently one of the form teams of late. The price of 17/4 for the Villa win from Betvictor looks like one of the best prices going this weekend. Speaking of teams who are labouring toward the finish line, Spurs come into this encounter on the back of some rotten form including losses in their last two matches. Though they are ahead of Southampton by a point, their experience of playing in the Europa League this season will hardly enthuse them to fight hard for the same ‘privilege’ again. Earlier this year, the BBC conducted an investigation into whether participation in the competition was a benefit or a hindrance for English teams (BBC report). Based on information from the last ten years, they concluded that the average league position of a participating team fell by 2.3 places. Spurs have played no less than fifty five times this season, including ten times in the Europa League. They are close to out on their feet and the thought of having to go through it all again will hardly be a tonic for tired minds and bodies. This is possibly the only advantage that a largely awful Hull team have going for them in their desperate struggle to avoid the drop. Hull are like a lame, old dog that has foiled the best attempts of the animal wardens in their quest to put the hound of its misery – limping here, feinting there. Alas, it looks as if there are no more tricks left in the bag and termination is close. Certainly, if they don’t claim all three points here and other results go against them, they’re gone. It’s with this in mind, that this column will go all stupid and say that Hull, by virtue of the fact that anything other than a win is no good, will emerge victorious as Spurs, somewhere in the back of their minds, hope that Southampton can leap-frog them into 6th. So, the Hull win it is, 15/4 from Bet365. The first of two matches on Sunday sees Swansea take on second-placed Manchester City. The Swans have been one of the more positive tales to tell from this season. Very few people (including this column) predicted much for them beyond a mucky struggle but they have confounded expectations and are still in with a shout of claiming a Europa League place. Shorn of their top scorer during the January transfer window, many concluded they would struggle in the second half of the season. Instead, in the fifteen matches since the beginning of February, they have accumulated the same mount of points as City. Not bad going at all considering it is rookie manager, Garry Monk’s, first full season in charge of any club, let alone Swansea. Apart from having to deal with the loss of Bony, he had to contend with some early season head-the-ball antics from the highly talented but oft-times volatile Jonjo Shelvey. In addition to developing his game, Monk has managed to rein in the more destructive impulses that Shelvey has been prone to and the benefit to the team is clear as the midfielder has been hugely influential in their strong showing since Christmas. Monk might be worth a couple of bob for manager of the season. It’s hard to know how to engage with the topic of City this season. That they’re poster boys for the spirit of big money immediacy seems obvious to most. Another point upon which many agree is that a sizeable number of the players and coaching staff might be heading out the door to pastures new. But we’ve been here before; they won the league in 2011/2012 and then put up a rather limp defence the following season whereupon the soul searching and staff shifting began and got to the point where it’s happening all over again. With the likes of Aguero and Silva in their team, sometimes it’s hard not to fall under their spell but really, they’re just a monument to a sport that has increasingly become nothing more than the glossy, corporate image of criminals and scumbags of the highest order. They are not alone in this, of course and without even checking, one could be certain that their website has a section devoted to their community programmes and sustainability programmes and development programmes etc. but you know it’s nothing more than hollow lip service, a mockery of everything they claim to stand for. Sadly, it’s all seems to be par for the course these days. Which is to say little about a team that has just won four on the trot to sit in second place behind Chelsea but this column would argue that says more about the quality of the league generally this season but that’s a different rant for a different day. Earlier this week, Swansea showed that they had enough about them to sit back and soak up Arsenal’s play for the most part before claiming all three points from a Gomis goal. Don’t bet against them doing the same thing here. Or do, I don’t care. Anyway, Paddypower are offering 41/10 for a Swansea win.